Stuart Schwartz, a partner of ScottHulse Law Firm for more than 35 years, is a creditor’s rights attorney. In addition to advising clients on matters related to bankruptcy, creditors’ rights and debt collections, he is also a litigation lawyer with extensive experience in commercial litigation and international litigation. In the commercial litigation area, Stuart represents a variety of interests in both prosecuting and defending actions for breach of contract, tortious interference, fraud, fraudulent transfer, trademark infringement, landlord/tenant disputes and deceptive trade practices. His clients include lenders, factors, landlords, equipment lessors, and commercial and individual creditors. Stuart is one of four Texas attorneys Board Certified in Creditors’ Rights Law by the American Board of Certification. He represents both secured and unsecured creditors in actions for debt, garnishment, sequestration, execution, attachment, turnover, and other creditor causes of action and methods of relief. Stuart is a Fellow in the Litigation Counsel of America. Membership is awarded to less than one-half of one percent of American lawyers and is by invitation only. 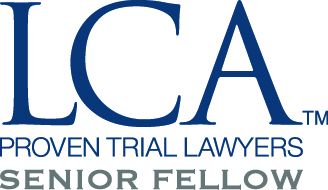 Fellows are selected based on effectiveness and accomplishment in litigation, both at the trial and appellate levels, and superior ethical reputation. He has been recognized as a Texas Super Lawyer from 2010 through 2015. In the area of international litigation, Stuart represents businesses and individuals with cross-border disputes, engaging counsel in Mexico when necessary to obtain relief in that country. Stuart has been a frequent lecturer on creditors’ rights topics since 1993 on behalf of the State Bar of Texas, the University of Texas School of Law, and the University of Houston Law Foundation. A list of his recent lectures and topics is available on this page. He has served as Course Director for the Collections and Creditors’ Rights Course as well as the Advanced Creditors’ Rights Course sponsored by the State Bar of Texas. He is also a Co-Editor of the Texas Collections Manual, a three-volume compendium of Texas collections laws and practice published by the State Bar of Texas. In 2008 he was appointed by the Supreme Court of Texas to its Ancillary Proceedings Task Force, which has been asked to review and recommend revisions to Texas’ current rules of procedure dealing with attachments, executions, garnishments, injunctions, sequestrations, and other rules affecting the creditor-debtor relationship. Stuart has the highest Martindale-Hubbell peer rating of AV Preeminent. An AV Preeminent peer rating reflects an attorney who has reached the heights of professional excellence. He or she has usually practiced law for many years, and is recognized for the highest levels of skill and integrity. Stuart is active in local politics, having served as County Commissioner (appointed), as a member of the Mayor’s Blue Ribbon Commission to address issues with the El Paso Housing Authority, and as past Chairman of the El Paso International Airport Board of Directors. Community service is important to Stuart. He has served as President and Treasurer of the Jewish Federation of El Paso and twice served as Chairman of its annual Campaign and Vice Chairman of the El Paso Public Television Foundation. Currently, he is Capital Campaign Chairman for El Pasoans Fighting Hunger Food Bank. 2018, May 3-4. Judgment Liens, Executions, and Charging Orders. Lecture presented at the State Bar of Texas Collections and Creditors’ Rights Course. Houston Texas. 2017. Texas Collections Manual. Editor in Chief, published by the State Bar of Texas. 2016. Expanding Defendants. Lecture presented at the State Bar of Texas Collections and Creditors’ Rights Course in Texas. 2016. Collecting Judgements-Tips you need to know. Lecture presented at Texas Association of Defense Counsel in Nashville, Tennessee. 2012. Pre-Suit Investigations. Lecture presented at the Mastering the Art of Collecting Debts and Judgments Seminar of University of Texas School of Law in Austin, Texas. 2010. Enforcing and Collecting Judgments. Lecture presented at the State Bar of Texas Advanced Civil Trial Course in Texas.